The day will continue with an afternoon session at Meikle Geddes Farm courtesy of W. D. Stephen & Co where we will be looking at the issues that were found and the ways in which these issues have been addressed. We will hear from Simon Stephen about what changes were implemented on the farm and the plans for future changes to help resolve outstanding issues identified. As the afternoon session is outside please ensure you wear warm clothing and clean boots. Please use the booking form below to secure your place and to help us organise catering. 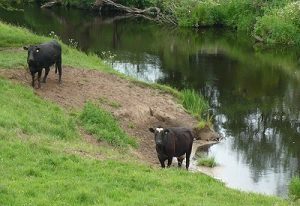 Farm ing & Water Scotland’s webpage has more information about Scotland’s Diffuse Pollution Priority Catchments as well as information about funding options available to help your farm business keep compliant.